Dali is one of those artistic figures that I have actually done some research on – been to the museum in Florida (and want to go to the one in Spain), read a couple biographies, and done some reading about the fellow artists of his time period. 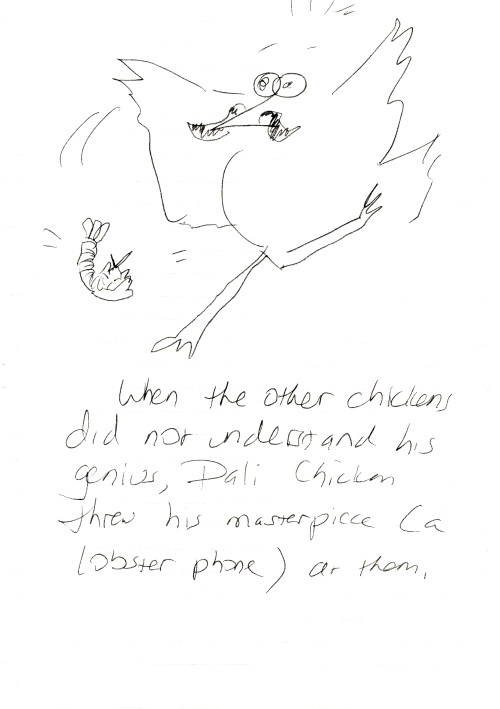 If he had been born a chicken he would probably have thrown lobster phones (since it was one o his creations) but I fear the chicken itself would not have been surreal an animal enough to embody him. He’d need a mythical beast like a hippogriff or a basilisk or something to really do him justice.